High performance motors demand high fuel requirements. 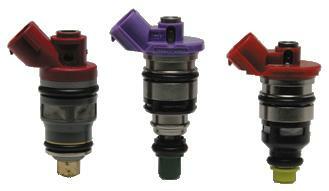 Stock fuel injectors cannot adequately provide enough fuel for the performance demanding vehicles. Designed for high performance motors demanding high fuel requirements, BLITZ offers a full line of High/Low-Impedance Top-feed and Side-feed Injectors in: Range from 525cc to 1000cc, and vehicle-specific designs as well.